Here’s a question for the Hollywood casting directors in the audience: Who do you get as an actor to play a young Kurt Russell in 2018? That’s the question someone is no doubt asking themselves as the Escape From New York reboot moves forward. 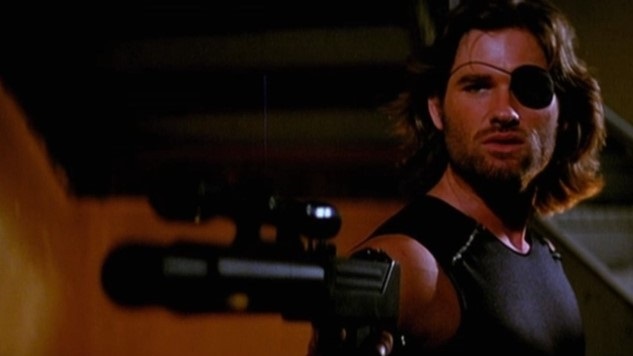 The film, described as a prequel to John Carpenter’s classic 1981 original, would have to find someone to play the part of Kurt Russell’s iconic character, Snake Plissken. Who has the gruff chops, fabulous hair and eyepatch to keep up? We admit it’s a fairly difficult question to answer. Regardless, it sounds like the project is making good progress, after Carpenter has reportedly approved the script by Luther’s Neil Cross. Speaking with Deadline, Cross hinted at his nervousness at the idea of the great John Carpenter overlooking his work. Carpenter is fairly busy these days with just about everything but film directing, having not personally directed a film since 2010’s negatively received The Ward. He has, however, been quite active on the musical side of the spectrum, releasing albums such as Lost Themes and Anthology: Movie Themes 1974-1998. He’s also executive producing the long-gestating, upcoming sequel to his original 1978 classic Halloween, which will again return Jamie Lee Curtis to the franchise and reportedly will ignore all sequels—even the ones that also starred Curtis. And then there’s Escape From New York, which is apparently being aimed at launching a whole franchise of films. What’s next, another remake of The Fog or The Thing? The original Escape From New York told the tale of Plissken, a futuristic tough guy an ex-con who is tasked by the government with rescuing the President of the United States after Air Force One crashes into the island of New York, which has become a giant prison colony. Plissken must infiltrate the island and find the president in the span of 22 hours, or he will be terminated via explosives he is unwillingly carrying. The film was followed by 1996’s Escape From L.A., which wasn’t quite as well received, but does have its fans. Which brings us back to the question of Kurt Russell. One wonders why the idea of doing an Escape From New York sequel rather than prequel wasn’t an option—who wouldn’t want to see a world-weary, grizzled Snake Plissken with Russell returning to the role? Is it just because the studio is hoping for more franchise potential with a young actor giving them the chance to make two or three more movies? And does that not seem like assuming the success of such an endeavor a little prematurely? We’ll give you further details on this one as they break. In the meantime, pray for Snake Plissken.